A Regional Adoption Agency covering Sefton, Liverpool, Knowsley, and Wirral has been officially launched. 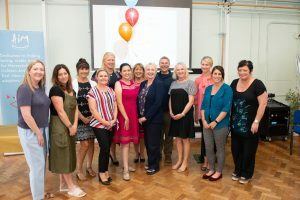 AIM (Adoption in Merseyside) brings together a team of around 50 staff from across the four councils who have been seconded into the new organisation. Responsibilities include recruitment, approval and ongoing support for adopters, tracking, linking and matching of children and the training and development of staff. Councillor Margaret Harvey, Knowsley Council’s Cabinet member for children’s services, said: “Adoption really can change a child’s life so I’m delighted that the Regional Adoption Agency could offer greater opportunities for children in our region. Although the Regional Adoption Agency has a centralised hub, staff still have a presence in each of their local authority areas to ensure they retain close links with social work staff. Councillor Barry Kushner, Cabinet member for children’s services in Liverpool, said: “AIM means we are able to provide a better service for children and adopters. “Previously, each local authority has effectively competed with each other for adopters and there has been a great deal of duplication of effort. “By creating a regional agency, we have widened the net of potential adopters, shared expertise and ideas and are making sure adopters and children get a consistent level of support, regardless of where they live. Councillor John Joseph Kelly, Cabinet Member for Children, Schools and Safeguarding at Sefton Council, said: “We know that we often receive enquiries from across the Liverpool City Region, so it makes sense that we are collaborating with our neighbours to meet the challenges we face together and increase the potential for our vulnerable children to find a forever family. The launch of the new agency follows a successful bid to the Government by local authorities on Merseyside to create a new shared service to get more children with a plan for adoption placed successfully and as quickly as possible. Councillor Bernie Mooney, Cabinet member for Children and Families in Wirral, said: “It is vital we are able to offer fast, effective and safe support to those children who need to be adopted. People interested in adoption can find out more by visiting http://adoptioninmerseyside.co.uk/ or calling 0151 477 8700.